Earlier last month we at Pakistani Cinema exclusively broke this news to our readers that ARY films is collaborating with Urwa Hocane and Farhan Saeed for a co-production. 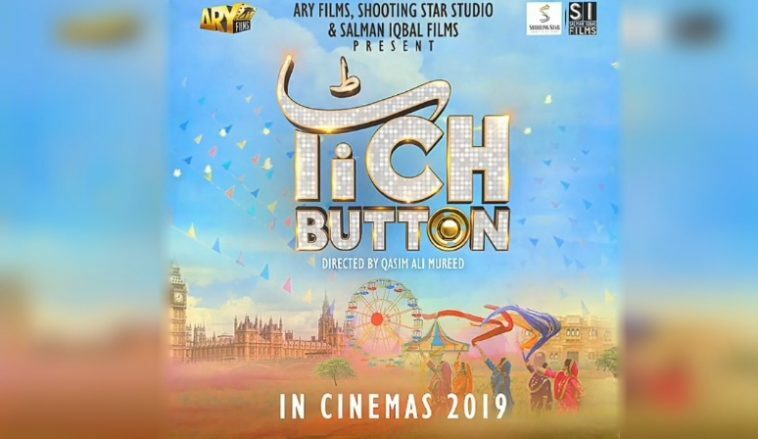 And just today ARY films has officially announced the very same project which is titled as “Tich Button“. “Tich Button” is a co production between ARY films, Salman Iqbal Films and Shooting Star Studio. Film will be the first venture by Shooting Star Studio, a company owned and recently launched by the celebrated couple of media industry Urwa and Farhan. While cast of this exciting project will be revealed in coming days, we were informed that Farhan Saeed will play the lead role in his first home production. Film will be directed by Qasim Ali Mureed who has last year’s major hit drama serial Aangan of ARY Digital on his credit and has also served as DOP for Lux Style Award winner and Humayun Saeed and Mehwish Hayaat starrer Dillagi. “Tich Button” is claimed to be a family entertainer and we hope to see another family entertainer on the lines of “Janaan” and “Punjab Nahi Jaungi” from the same distribution house. Based on friendship and love, “Tich Button” will release in cinemas in 2019. Previous article ‘Gumm’ is the Surprise Package of 2019!